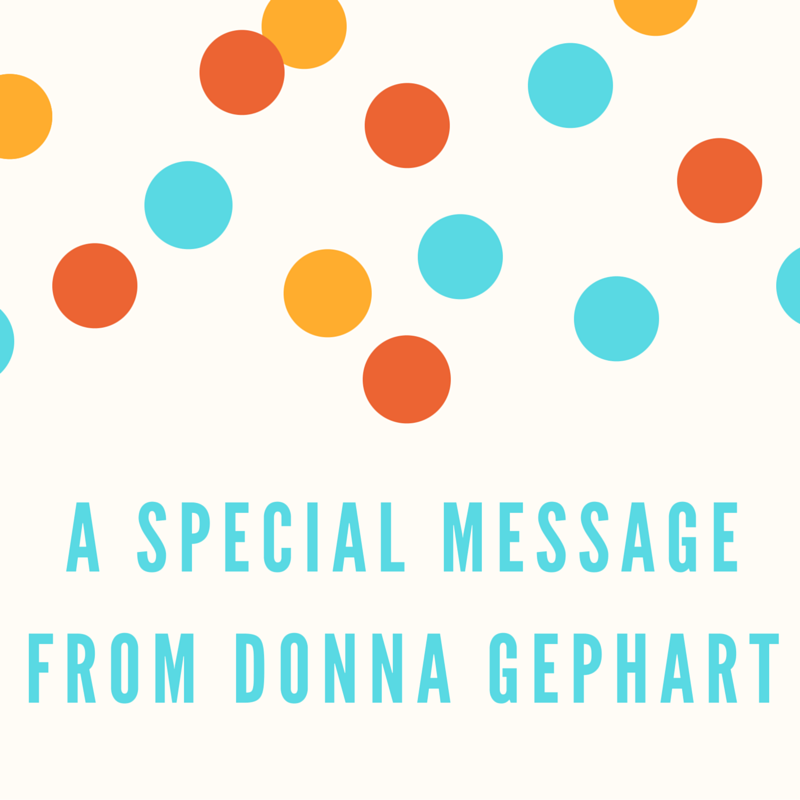 Happy Book Birthday to Donna Gephart's Lily and Dunkin! Lily and Dunkin captured my heart immediately. Colby Sharp and I exchanged tweets, texts, and direct messages while reading it. I loved knowing he was experiencing this special story at the same time. I have not stopped thinking about Lily, Dunkin, and their families since I finished reading it on December 13, 2015. I think it is one of the most important and memorable books of 2016. I hope you will read and share it. 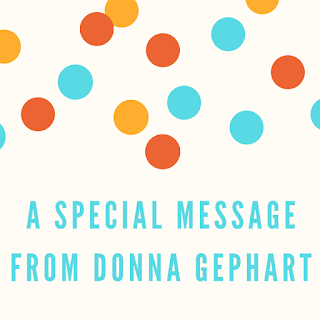 Thank you, Donna Gephart, for writing Lily and Dunkin and for sharing this special message with your readers. I wrote a book called Lily and Dunkin about a big-hearted, word-loving transgender 13-year-old who fights to save a beloved banyan tree and Dunkin, who deals with a mental illness, a move to a new city and a terrible secret. I didn’t write Lily and Dunkin specifically for people who are just like the main characters. I wrote the novel for everyone . . . because I believe one of the most important things humans can learn is empathy – walking a mile in someone else’s shoes. And the only way I know to truly inhabit another person’s thoughts and feelings is through story. We, as a society, need more empathy and understanding and less judgment and assumptions. Empathy and understanding will help us make better choices as we move through this world. Kinder choices. 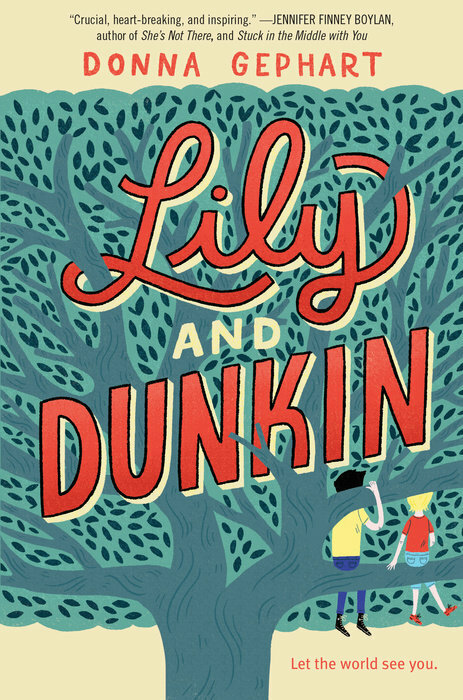 I hope a lot of people read Lily and Dunkin because I believe it will promote understanding and kindness. I believe it will make the world a better place, not just for a small group of people, but for everyone because the truth we sometimes forget is that we are not the center of the universe, we are part of the fabric of the universe – each thread affecting another. I believe that reading stories like Lily and Dunkin, Wonder by R.J. Palacio, Rules by Cynthia Lord, Out of My Mind by Sharon Draper and Girls Like Us by Gail Giles will help each of us fill our tiny part of the universe with empathy, understanding, kindness and love. And the positive power of that kind of energy, friends, has ripples that can impact the entire universe. Please borrow Lily and Dunkin from your school or public library. Whenever possible, please support independent bookshops. Looks like one to grab right away! Thanks for sharing.